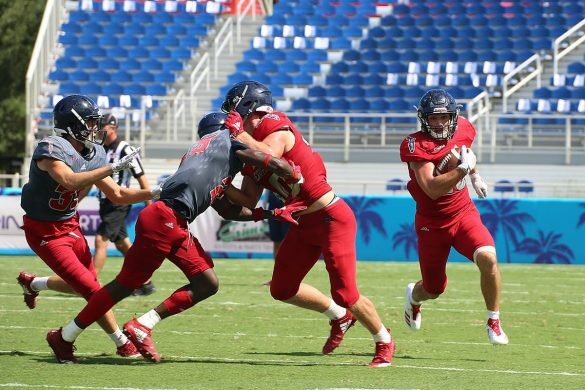 BOCA RATON – In a disappointing season, no unit frustrated more than FAU’s special teams. The Owls missed kicks. They missed blocks. They committed penalties. They often didn’t know who was supposed to be on the field. 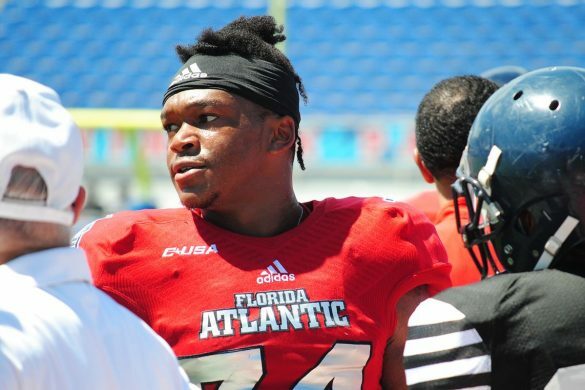 We’ve spent the past few days posting the questions we’d like to see answered when FAU takes the field beginning Tuesday for the third spring practice of the Lane Kiffin era. We’ve already wondered about the QB battle, the replacement for Devin Singletary, whether there is anyone left to catch the ball and what kind of impact will tremendous turnover in the coaching staff produce? Now we ask..
IS THE KICKING GAME FIXED? The only kicks FAU seemed to execute accurately last season were those to its fans’ guts. While the Owls were solid at defending opposing kicking games in 2018, they were one of the country’s worst at it themselves. And they’ll need improvement from within this spring to change that. 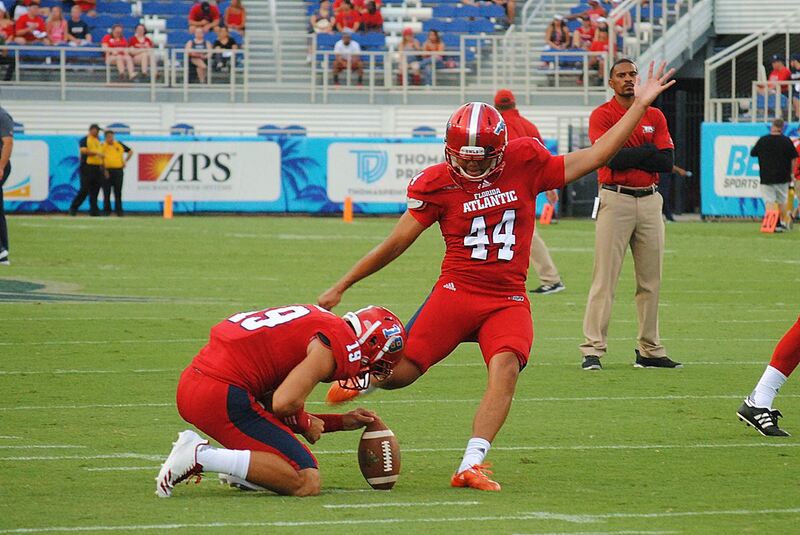 FAU didn’t sign anybody to challenge kicker Vladimir Rivas and punter Sebastian Riella over the coming weeks. Fort Myers-Bishop Verot kicker Logan McCleod is coming to FAU as a preferred walk-on, but he won’t arrive until summer. But Rivas and Riella’s spotty track record could put them under the microscope earlier than usual. Only eight teams converted a lower percentage of their field goals than FAU (58.8) last season, Rivas missing seven of his 17 attempts. Shortening the kicks’ distances didn’t help much either. Three of FAU’s 42 extra-point attempts whiffed, which led to a No. 109 ranking in PAT conversion percentage (92.9). FAU was 18th worst in punt average (38.57 yards) nationally, despite quarterback Chris Robison inflating the numbers with a few impressive tries of his own in fake passing scenarios. Robison averaged a booming 54.7 yards on six punts last season – third in FBS. Then-first year special teams coordinator Jaron Fairman did lead his units to some bright spots, however. FAU blocked three kicks last season, tying for No. 19 in FBS, and ranked fourth in opponent kickoff return average (14.91 yards). But the kicking success – or lack thereof – held the unit back as a collective. 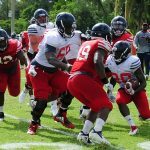 Football Outsiders pegged FAU as No. 114 nationally in special teams s&p rating, an advanced stat that measures special teams efficiency. FAU will also be trying to replace Kerrith Whyte in the kickoff return game, and exactly who will field punts remains unclear as well. Special teams are rarely a focus of teams during the spring, and almost certainly nothing will be settled in the coming month. However, the Owls need to show some improvement. It’s nearly impossible to win with poor special teams play. 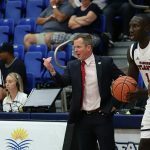 And given the extent of FAU’s struggles with that last season, its improvement there will be worth monitoring frequently this spring.